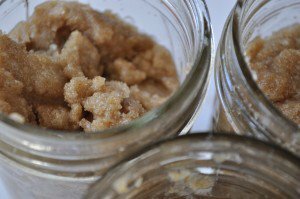 Home › Articles › Are Coffee Scrubs Good For Your Skin? Are Coffee Scrubs Good For Your Skin? Coffee: it fuels millions of people around the world and makes coming back to work on Monday a little less painful. Aside from its power to deliver us the caffeine we need, coffee has some other amazing properties as well, and is a popular ingredient in homemade and commercial skin products. “Coffee scrubs” are one of the most popular ways to use the beans in skincare, but as most savvy consumers know, it’s important to do your own research and not just follow the trends in health and beauty blindly. So, are coffee face scrubs good for your skin? Let’s take a look at the potential benefits and downsides of putting grounds on your face instead of in your cup. Exfoliating your skin is an important part of any skincare routine. Though all it is essentially doing is gently removing dead and damaged skin cells, leaving smoother, brighter skin underneath, it’s important for avoiding a dull complexion, acne, and other skin problems. Many scrubs are made from sugar or other ingredients, but coffee is gaining recognition as a great exfoliating ingredient, especially with its other benefits. Caffeine has been used in many products to tone and tighten skin, and the coffee in caffeine is a cost-effective way to accomplish this. Puffy skin becomes tighter, fine lines become less noticeable, and can yield a more toned overall appearance. Another benefit of caffeine is that it has anti-inflammatory properties. Since inflammation contributes to skin redness, coffee can be an effective treatment for this issue. Cellulite is one of the most difficult problems to treat, because it’s simply caused by normal fat cells pressing up against connective tissue in the skin. Most women have at least some cellulite, but it’s a cause of frustration for nearly everyone. While caffeine can’t fix cellulite, it can help improve it when used externally to tighten the skin and reduce inflammation. Every day, the skin is attacked by free radicals, which cause damage and mutations to the skin cells. Antioxidants are essential for fighting these free radicals and keeping the skin youthful and healthy. Coffee contains range of antioxidants, which is why it is so often an ingredient in skin products. With all these known benefits of coffee for your skin, there are many good reasons to give a coffee body scrub a try. However, you won’t get the same skin-boosting benefits from drinking coffee as you do from using scrubs. In fact, some people find that drinking coffee makes their a little more skin more sensitive, due to the acidity and diuretic properties of coffee. To make: Stir all ingredients together, and store in a sealed jar for up to 2 months. Makes about 1/3 cup of scrub. Your DIY scrub should be used after your cleanser, but before your moisturiser. When applying coffee scrubs, be gentle. You should always use a light touch to ensure that the scrub does not abrade your skin and cause irritation or skin damage. Because coffee is dark brown, you may see some darker temporary pigmentation after exfoliating, but this will fade quickly. Your skin should feel smooth and moisturised after using the scrub, so it will be tempting to use it every day, but scrubs should be used at most a couple of times a week to avoid over-exfoliation. It’s always best to do a little trial-and-error testing with any new beauty regimen. If your skin is chronically troubled, try some experiments. See if your skin improves when you use a coffee scrub. Everyone’s skin is different, so it’s important to try different approaches (and recipes!) to see what works. Remember, if your skin reacts poorly to any product, wash it off immediately with a gentle cleanser, and don’t continue using it! When you break it all down, coffee scrubs are an all-natural way to pack a skin-boosting punch. They can also be very economical if you go the DIY route, especially if you choose to use coffee grounds you’ve already brewed with! Experiment with recipes until you’ve found a scrub that’s worth getting out of bed for—just like a great cup of coffee.